In this product, you will get two products in one download. 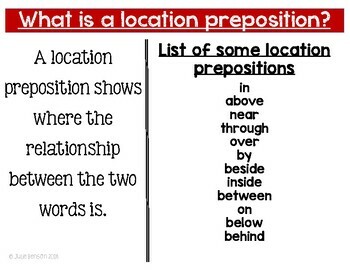 First, students use task cards to identify location preposition WORDS. 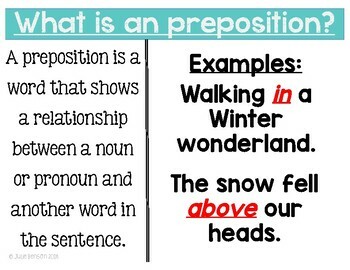 Second, students use the task cards to identify location prepositional PHRASES. 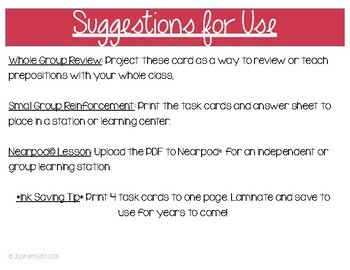 Simply choose which set of task cards you want your students to practice (task cards are the same for both activities -- the instructions just change). 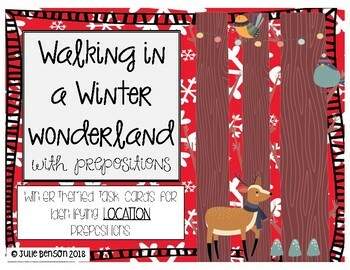 Recording sheet and answer sheet included with cute, winter-themed cards!